I find this Jamie Oliver mortar and pestle very well balanced and grinds the herbs etc beautifully with not too much effort. It’s very heavy. I have tried much cheaper ones and I can see the difference in paying extra for this product. Well worth it. 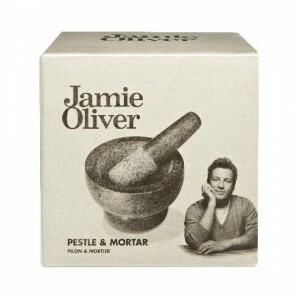 How would you rate Jamie Oliver Mortar & Pestle?